All Posts Tagged With: "Clairol"
Frederic Fekkai’s Adir Abergel transformed Kristen Stewart’s hair from day to night (for her David Letterman appearance and her New York Premiere of Twilight), and collaborated with Clairol Celebrity Stylist Marie Robinson to change her hair to strawberry blonde. Fekkai’s Adir Abergel created a feminine and flirty style for Kristen Stewart’s David Letterman appearance and collaborated with Marie Robinson to change her hair color to strawberry blonde. Here’s how to get Kristen Stewart’s Hair At The Late Show with David Letterman: Abergel started by applying the Fekkai Advanced Full Blown Volume Styling Whip at the roots and working throughout the hair. Using a round brush, he blow-dried the hair straight, and spritzed the Fekkai Advanced Brilliant Glossing Sheer Shine Mist for added shine. Adir curled the hair using a 1-inch curling iron, and sprayed with Fekkai Coiff Ocèanique Tousled Wave Spray to create the flirty texture. He then pulled the hair back loosely and secured it by knotting at the nape of the neck. To finish of the look, Adir sprayed Fekkai Advanced Sheer Hold Hairspray. Clairol signed Marie Robinson as its Color Director. Marie has worked with a-list celebrities prior to her collaboration with Clairol. Watch and meet Marie in this video she created with Perfect 10 posted on Clairol’s Facebook. 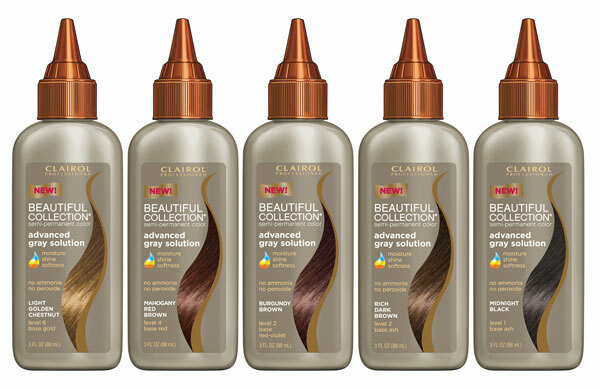 Clairol Professional Beautiful Collection: The unique shape of the African-American hair shaft, partnered with weakened strands from chemical damage, makes hair more susceptible to breakage. This leaves many women feeling as though they’re faced with a trade off – they can have either relaxed or colored hair, but not both. However, Beautiful Collection goes to the root of the problem and delivers a semi-permanent, no-ammonia hair color product that allows you to relax and color on the very same day. The Clairol Professional Jazzing Facebook Fan Page went live on Friday 11/20/09 with: tips from Clairol’s celebrity stylist Tippi Shorter, information on hair trends, weekly sweepstakes to win prizes such as FlipCams, American Express Gift Cards, Digital Cameras, and concert tickets, and daily prizes to win Jazzing product samples. One lucky winner will win the Grand Prize – a trip to NYC for a hair makeover with Tippi! Tippi styles the likes Rihanna and Alicia Keys. 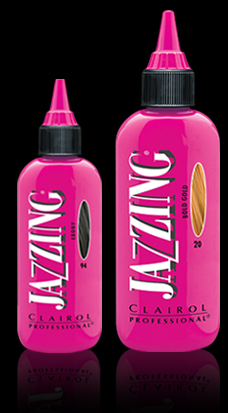 Clairol Professional Jazzing is sheer temporary or semi-permanent haircolor for relaxed or textured hair. The fun, vibrant shades – Spiced Cognac, Ebony, Bluest Black, Cherry Cola, or Black Cherry – are a perfect way to make a dramatic statement and add trendy style to your weekend look (applied without heat, it lasts 1-2 shampoos so you’ll be back to your natural color by Monday morning). Plus, it is so easy to do and really spices up your hair.